Matthew 1:18-25 (The Message) – 18-19: The birth of Jesus took place like this, his mother Mary was engaged to be married to Joseph. Before they came to the marriage bed Joseph discovered she was pregnant. (It was by the Holy Spirit but he did not know that). Joseph chagrined but noble, determined to take care of things quietly so that Mary would not be disgraced. 20-23: While he was trying to figure a way out he had a dream. God’s Angel spoke in the dream: “Joseph son of David, don’t hesitate to get married. Mary’s pregnancy is spirit-conceived. God’s Holy Spirit has made her pregnant. She will Bring a son to birth, and when she does you Joseph, will name him Jesus – ‘God Saves’ – because he will save his people from their sins.” This would bring the embryonic sermon to full term. 24-25 Then Joseph woke up, he did exactly what God’s angel commanded in the dream, he married Mary, but he did not consummate the marriage until she had the baby. He named the baby Jesus. The birth of this baby was not just any ordinary birth. It was the birth of Jesus, our saviour. Many people have forgotten him in this timeless tradition, lately it seems to be more about family gatherings, astonishing amounts of food, presents and the like. And YES I do this every year; I get excited like a child at Christmas time because it is such a wonderful day of the year. This year is different for me though, while I am still excited and have been to do all my Christmas shopping and can’t wait to see the faces of my nieces and nephews when they open their presents that we got them. 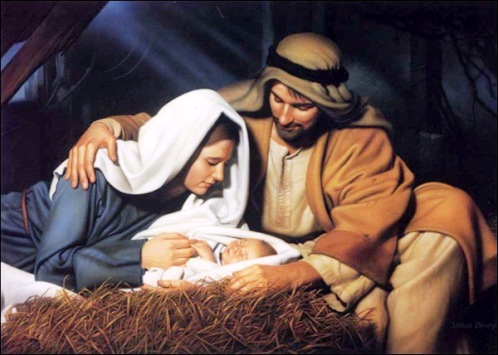 A lot of people seem to have forgotten that Christmas is a celebration, of the birth of Jesus Christ, the best Christmas present ever given to us by God. John 3:16 – For God so loved the world that he GAVE his only son that whosoever believes in him will not perish but have everlasting life. THIS is what Christmas is all about, Jesus, and the fact that he was born so that one day he would be put to death in return for our sins, so that we may have that everlasting life. So while we all get caught up in the festivities let’s not forget the Guest of Honour Jesus Christ. Make sure he is a part of your Christmas this year, for those of you with Children, lets tell them about the real reason for Christmas so that they can remember and one day in turn tell their children. My mother always used to tell me “You bend a tree when its young” meaning if you want your child to grow up in a certain way, having manners, obedience, generosity etc. You need to teach them these values from a young age that seed needs to be planted into their lives at an early age. So if you want your children to know the real meaning and value of Christmas, teach them now while they are still young. So let’s celebrate the gift we received. But don’t just leave the celebrations for Christmas day Jesus should be celebrated on a DAILY basis. God Bless all and Lets remember History (HIStory) – Jesus’ story.